Elegant staircases, bright red curtains and noble ladies with corsets and feathered hats: everything is ready for the first night at the Muses Theatre. It was a night of 1664. The Arsenale Theatre, the first building to be the theatre of the city had a rather short life. In 1709, in fact, a serious fire destroyed it. The city immediately rolled up their sleeves and just five years after it was inaugurated the Fenice Theatre that saw its happy days when the famous violinist Giuseppe Tartarini worked out, right here, a new way of playing his beloved instrument. In the first years of 1800 the building began to pull out the first signs of old age, and so it was decided to build the new city theatre: the Muses Theatre. On the night of April 28, 1827 the spring air of Ancona was filled by the notes of Aureliano in Palmira and Riccardo and Zoraida by Gioachino Rossini. It was the night of the inauguration. In this theatre they were staged more than 360 works in 116 years. This history of music and costumes was abruptly interrupted by British bombs on November 1, 1943. It took decades before it can raise again the curtain of the Muses Theatre that until 2002 was left silent and empty. Among the sea of the harbour and the bustle of downtown streets, today the Muses Theatre reopened its beautiful doors to the city and it tells us about operas, dramas and concerts of classical and light music. 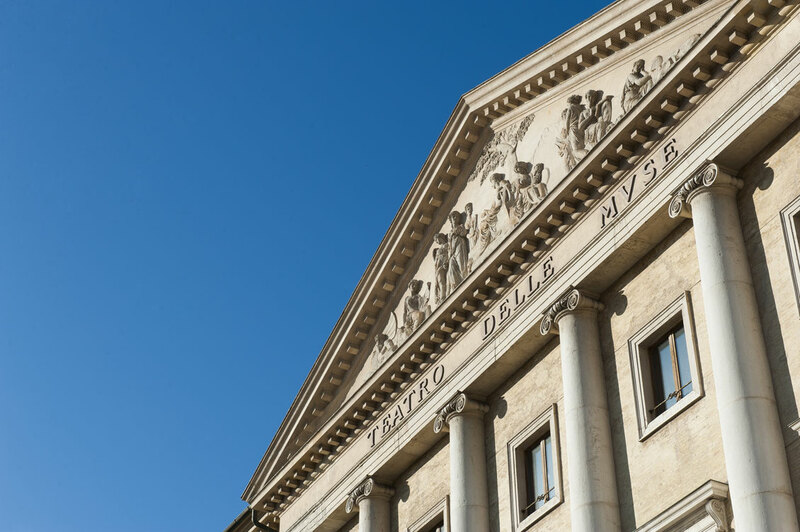 The Muses Theatre, which is the largest in the region, is dedicated to the beloved tenor Franco Corelli, born in Ancona and became famous worldwide.